Here an older GE 201SA of first generation style. Probably late 70s/early 80s era. Which is used as a yard light at a house. Nice! I also saw a GE post top light at somebody's house. Unfortunately, it's due to be torn down. Feb 10, 2019 at 11:45 AM Author: Cole D.
You should try to get it if you can! Either from the owner or the demo crew, ask if you can have it. One house near me have a GE P-17 post top too, with MV. I see it running sometimes. 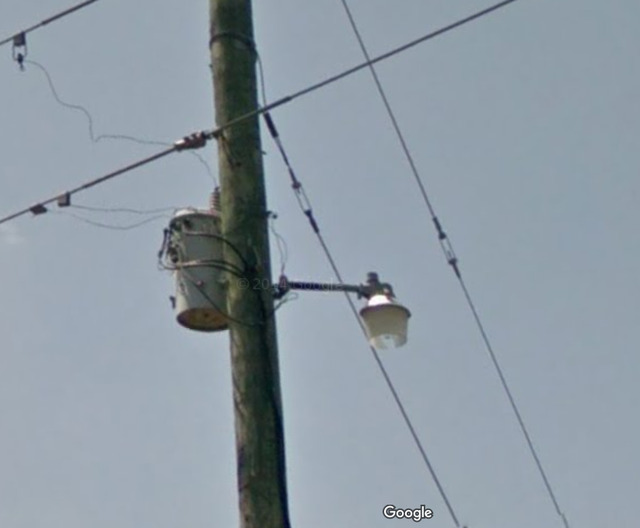 Yep, but with what appears to be a LMI/McGraw-Edison bucket.